More and more offices are making the switch from traditional cubicles to a more open-spaced layout, designed to create a space that encourages energy, productivity, and especially the sharing of information for the best collaboration. However, this advantage also comes with a disadvantage – a huge loss in privacy. For some industries, office privacy is not that great a concern, yet there are still many industries that rely on discretion as their bread and butter, not only for completing their work but retaining their credibility as businesses that can be trusted. Here are four industries where office privacy is still incredibly vital. Anyone who’s gone to the hospital and been forced to wear one of those nightgowns with the open back understands that privacy in the health care arena is hard to come by. However, jokes aside, when the technical aspect comes into play within the offices of the doctors themselves, the technicians, the scientists, and so on, privacy between offices and between cubicles is absolutely key, considering the information they have on hand and the amount of people who could suffer if it was wrongly unveiled. The health care industry has more information on us than our own mothers, with access to not only our immediate contact information, names, ages, and so forth, but in some cases more sensitive legal information that could result in a horrible case of identity theft if revealed. Privacy within the office through privacy panels, personal offices, specialized computers meant to combat those “over the shoulder readers,” and other tactics ensure that only those with explicit permission and clearances can review the information, preventing a new employee, an intern, or even a long-time worker having a bad day from doing something unwise with the information. Embarrassment and loss of trust. While your name and mother’s maiden name is certainly personal information, what can be more personal than your health records themselves? In the health care industry, patients trust a certain level of confidentiality which allows them to be open about the state of their health. If you knew you were risking a few new interns joking about your rather embarrassing disease that night at the bar, you would be far less likely to trust the medical profession in the future. This logic is why office privacy is crucial in the health industry, as privacy for personal reasons is just as important as for legal reasons. A title with no short limitation, the financial industry such as banking, stock brokerage, and even online retail stores are under no small amount of pressure to keep that private information private. 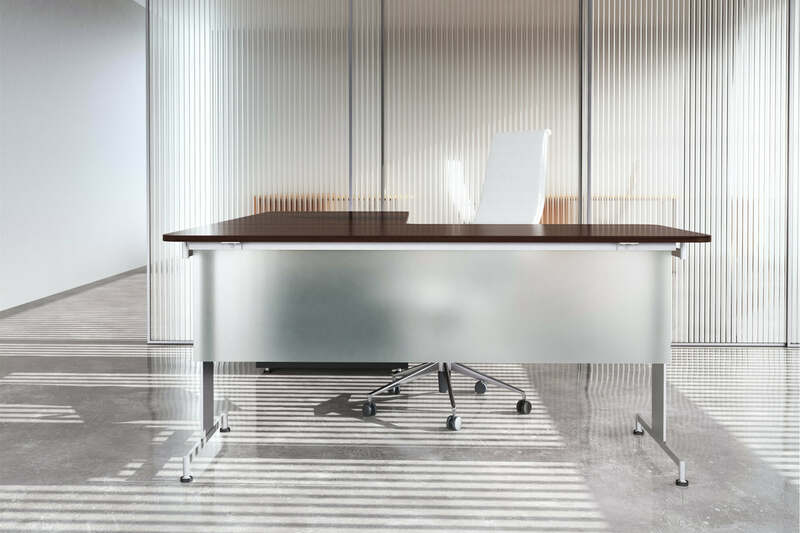 While an office does allow for greater collaboration, ensuring that the working space is kept enclosed and private is a top priority, with the aim to ensure that the vital and even personally dangerous information they have access to doesn’t result in ruin. Identify theft or financial ruin. Just as with the health industry, the loss of personal information can lead to others taking your identity and running from the hills, sparing only the time to land some serious blows against your credibility, your financial stability, and more. Entrusting your personal information and especially your cash to an industry requires a certain amount of trust, with the confidence that such a relationship results in profits rather than financial ruin. By accidentally sharing a few numbers, a few names, or even allowing a passing employee without clearance to glance at a screen, people could be at risk of losing their entire livelihood. With this in mind, many of the businesses within this industry have taken great pains to ensure that privacy panels, enclosed cubical, personal offices, and more are set in place to ensure they can benefit others rather than stand as a massive risk. Anyone who’s watched a daytime soap opera is familiar with what happens if a member of the law enforcement, or the government for that matter, leaks a vital piece of information. Not only does it weaken their evidence, but it discredits the individuals themselves and can result in slanderous claims against innocent people. This extends far beyond catching criminals and into all elements of law enforcement, where they are privy to vital information about several people that they themselves, and especially those they’re close to, may not know. With this in mind, office privacy can be the difference between a system that works for the benefit of others, and one that leads to huge lawsuits, a loss in reputation, and damaged lives. You may think that the cloud is the exact opposite of an industry in need of office privacy, since the purpose of the cloud is to share information and make it readily accessible by others. On the contrary, cloud computing and storage is home to more information than any of the previous industries combined. In fact, many of those industries turn to cloud’s online sharing and storage as a means for managing their business. This makes it clear that the cloud’s ability to give access only to the right people, and to dodge potential information leaks, is vital. There are many facets to cloud computing, each requiring a team of experts to manage it. However, cyber terrorism is on the rise and there is nothing a few hackers would like better than to stumble upon a random office conversation, finding a few key words that lead them to unlock that sensitive information. With that in mind, cloud storage, and both the businesses and the techs who manage it, are in true need of office privacy at its best. Collaboration and sharing truly is what makes the world go round, but when it comes to the sensitive information we’d rather keep to ourselves, and the industries we trust to keep it for us, implementing a certain degree of office privacy is the only thing standing between disaster and a well-working machine.